What if your child is already receiving social security benefits but you suspect their condition may have been caused by a preventable medical mistake, or medical malpractice? Unfortunately, some parents think a medical malpractice case for their child with a severe disability will end any other benefits or resources available to he disabled child. In fact, it's just the opposite - a successful malpractice case can expand the child's resources, increase her quality of life, cause less stress and anxiety for her parents and ensure there are resources available to take care of the child for the rest of her life. A successful medical malpractice case for a disabled child can make sure she is getting all available benefits and resources and that she has enough money for these resources to continue. One of the ways to protect a disabled child's settlement proceeds is by establishing a special needs trust. This trust allows the child to continue to grow and to be used for the child's best interest and enrichment. The trust can pay for things that Medicaid won't pay for, like a wheelchair accessible van, additional nursing care of home modification so the child can live comfortably with her parents and family. Once the person dies, the trust will repay Medicaid for what it has spent over the years. 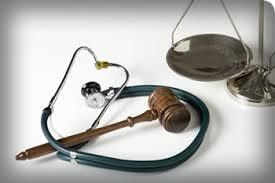 For more information on how to get started with your medical malpractice case contact us. The best medical malpractice lawyers in D.C. will give you information you can use to help your family. We do this whether we agree to investigate a case or not. We think that's the way it should be.